Learners gathered in numbers on a rainy Saturday morning at St James beach, 21 September, partnering with Environmental Resources Management (ERM) in the annual coastal cleanup 2013. The practice is to create awareness of keeping the ocean clean as human and wildlife is compromised by the pollution found in oceans. The event is international and Makhaza learners were part of the many individuals from all over the world that volunteered their time in this great initiative, with 45 learners from all the IY branches in the Western Cape joining in. They took up the task of cleaning St James beach, of the trash around, with a positive attitude. Equipped with their black bags and gloves, they found items ranging from cigarette butts to food wrappers scattered around in land and on shore. One grade 11 learner, Ndilisa May described the event as “a great event which brings people together for a good cause” she also added that “it’s wonderful that anyone can be involved”. IkamvaYouth learners are now environmentally conscious; “I now know the importance of keeping the ocean clean, thanks to ERM” said Busiswa Wana, a grade 11 learner. The learners had only great things to say about the coastal cleanup as they learnt more about the ocean and the wildlife that is depended on the ocean. “I was not aware that the ocean forms part of the life cycle and that if damaged it could have an impact on humans as well”, Lundi Sirayi, grade 10 learner added. 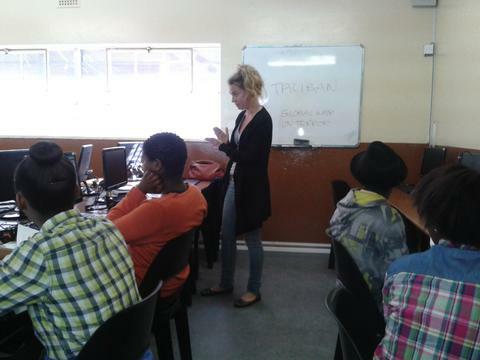 This September holiday, Nyanganites have been privileged to participate in a history workshop conducted by Andrea Sanke at Zolani Centre. The workshop, aptly titled ‘Our history, our world’ has taken the group of 12 through more than 50years of world history in just 6 days. From North America, to Eastern Europe and South Africa, the workshop has covered such topics as the World Wars, the War on Terror, and Julius Malema. The learners have enjoyed learning about different historical figures and events, researching people and asking questions. The workshop will culminate in an in-class presentation where each learner presents on their chosen historical figure. Workshop facilitator, Andrea said that the workshop will impart research, English and presentation skills to the learners, in addition to learning a bit more about the world around them. Thank you Andrea for taking the time to enrich the minds of Nyanganites! 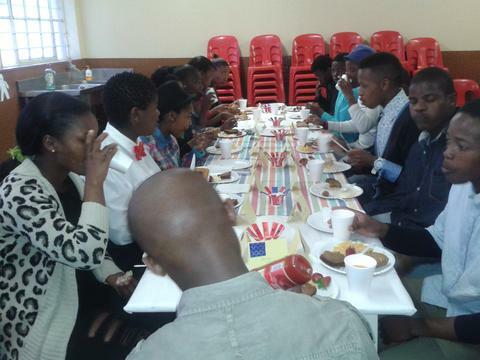 This past week, Gr 11s at the Nyanga branch enjoyed a refreshing gala event at Zolani Centre. 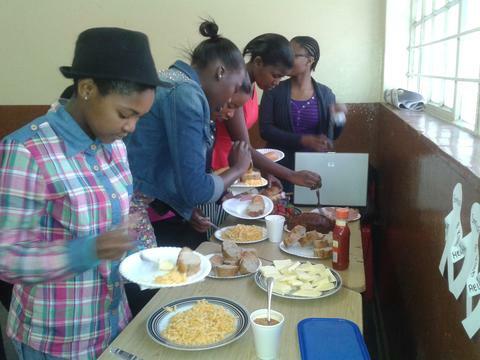 In a bid to foster group cohesion, friendship and greater support, as the learners get into Matric next year, the Nyanga team threw a brunch for the Gr 11 learners. The learners were paired up with fellow learners and tasked to get to know each other better during the course of the brunch. It was a fun morning, filled with laughter, jokes, music, food and a general festive mood. 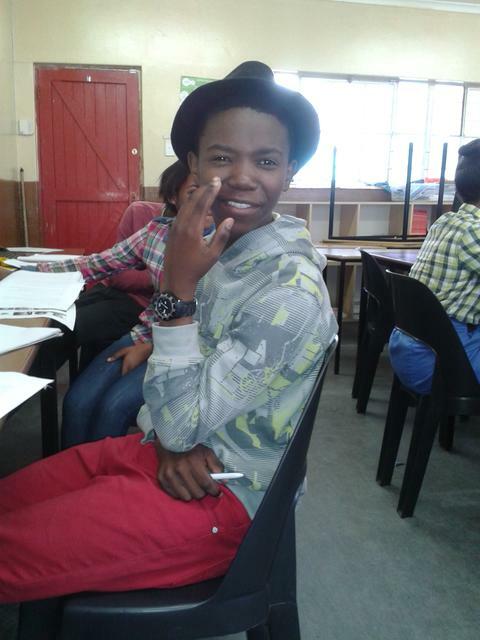 Siphelele, Nyanga Branch Assistant, exhorted the learners to support one another with their work across friendship groups. The Gr 11s are looking forward to finishing 2013 stronger than they started, and get into Matric in 2014 a more cohesive group than ever before. At the end of the dinner, the learners had a lot to say. A big thank you to the Matric class of 2014 for showing up and enjoying the event, and to our tutors Onelisa Qwaka and Bomi Popi who assisted on the day. 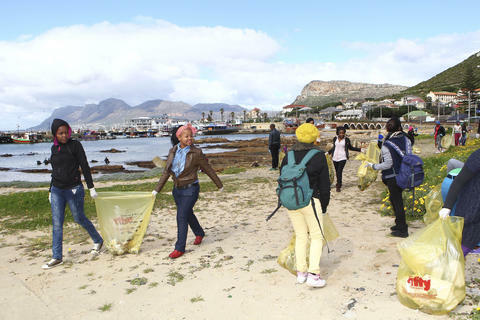 On the 21st of September, ikamvanites in the Western Cape participated in the annual Coastal Cleanup, hosted by ERM. 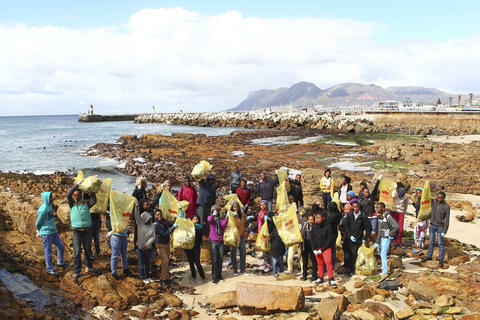 The learners from Masi, Makhaza and Nyanga braved the slight chill and went out to pick up litter from surrounding beaches. The occasion provided an opportunity for ikamvanites to meet, get to know one another and have fun whilst taking care of their environment. A huge thank you to ERM for hosting the ikamvanites again this year. 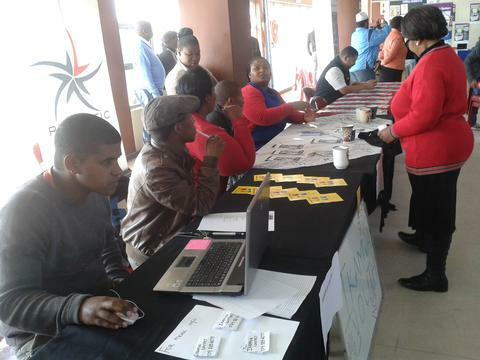 On the 18th of September IY Nyanga participated in a Career Expo organized by the Department of Social Development. 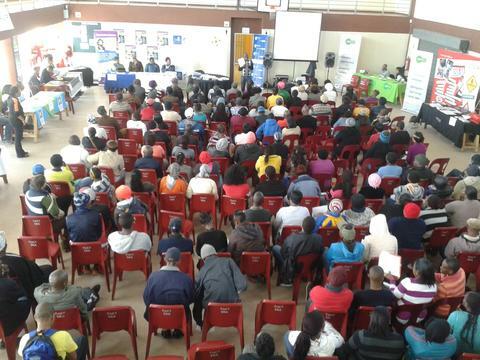 The event took place at Ikhwezi Community Centre in Gugulethu and was attended by over 150 unemployed youth and other community members. The Nyanga team hosted a table and got a 2minute slot to talk about IY, our work and the need for community members to get involved. There was a good response from the people present and we even had a parent who wanted to sign up her child currently doing Grade 4! The occasion also provided an opportunity to mingle with organisations doing similar and complementary work in the community, and the team made useful acquaintances with superheroes from all over Nyanga and surrounding areas. Thank you to Charlotte Abels from DSD, for inviting and accommodating IY Nyanga. The future is in all our hands.